Enjoy the stunning, panoramic tri-state mountain and valley views from both inside and outside of this beautiful home that sits on a fabulous elevated lot. The eastern orientation of this lot provides you with wonderful views of the morning sunrise, full moon rises, and reverse sunsets off the mountains. The extended paver patio provides loads of room for outside entertaining. Move right into this fabulous TURN KEY and BEAUTIFULLY FURNISHED home. Plenty of windows make this Daisy model light and bright. 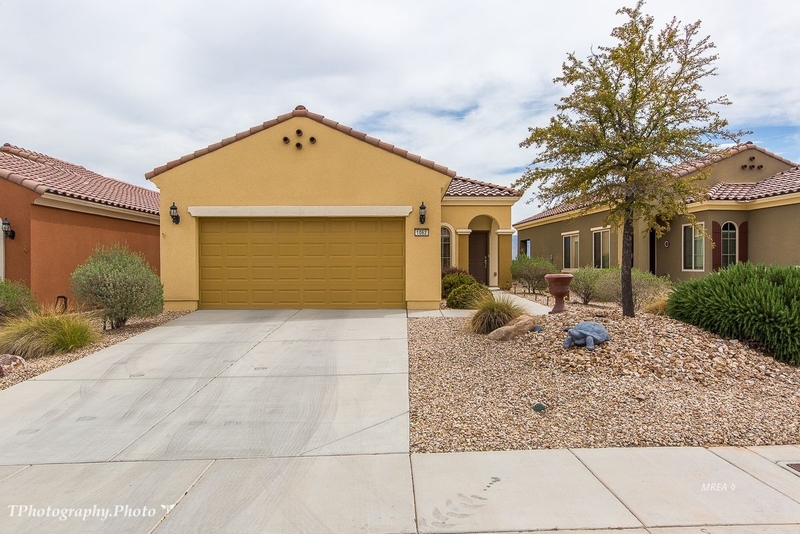 Enjoy the upgrades found throughout this home including extended tile flooring, natural maple cabinets with pull-out shelves, granite counter tops, ceiling fans, and more. The owner's suite features a spacious walk-in closet with plenty of storage room. The second bedroom, with a built-in Murphy bed has a nearby full bath. The SID IS PAID IN FULL. Come move in today and begin enjoying all of the amenities Sun City has to offer.